Shop Rusk W8less Shaping and Control Hairspray, Strong Hold (10 oz. )10 oz. 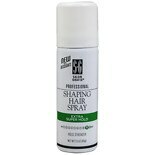 Shop Salon Grafix Professional Shaping Hair Spray, Unscented (10 oz. )10 oz. 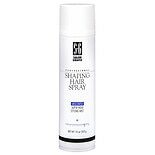 Shop Salon Grafix Shaping Hair Finishing Mist Spray Travel Size (1.5 oz. )1.5 oz. Shop Farouk Royal Treatment by CHI Ultimate Control Fast Drying Volume Shaping Spray (12 oz. )12 oz. Shop Salon Grafix Professional Shaping Hair Spray Finishing Mist Super Hold Unscented (1.5 oz. )1.5 oz. Shop Salon Grafix Professional Shaping Hair Spray Finishing Mist Extra Super Hold (10 oz. )10 oz. 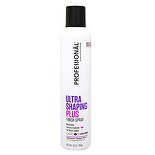 Shop Professional by Nature's Therapy Ultra Shaping Hair SprayPlus, Ultra Firm Hold (10 oz. )10 oz.